The annual Habitat for Humanity Mercer County Benefit Dinner was held the evening of August 24, 2015 at 5:30 P.M. The event took place at the Salvisa Baptist Church Christian Life Center. The dinner was a highlight in Mercer County. 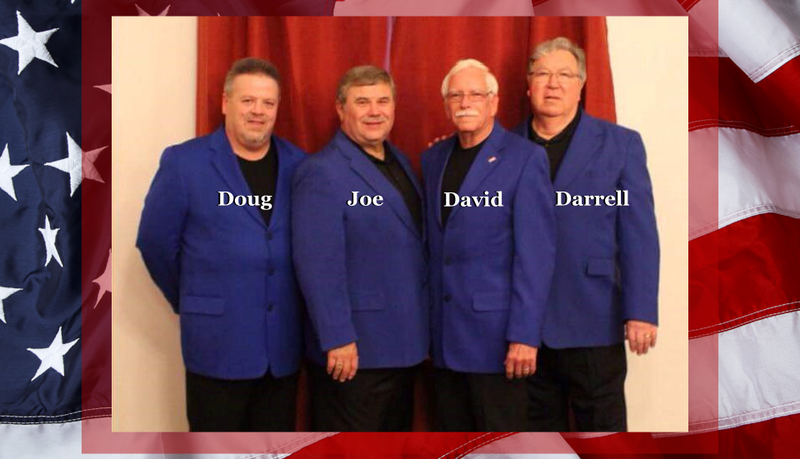 In addition to a delicious southern style meal, donated by the Family Affair Restaurant and Catering (5509 Louisville Road, Salvisa), the attendees were treated to an inspiring musical performance donated by the Patriots Quartet. In addition to the dinner and concert, silent and live auction were held from items donated by local businesses, industries, and individuals. Another beautiful, handmade quilt donated by Vivian Gambill, UK Basketball tickets, Bikes, home décor and a 32-inch TV were among the live auction items sold. Several people were honored in an Honors and Awards Ceremony. They included Bill & Peggy Waggoner for their many years of service and devotion. A plaque was presented to Judy Kay’s of Family Affair and Catering for 25 years of sponsoring the meal. The Patriots Quartet received a mounted certificate for providing the entertainment for the last 6 years in support of Habitat for Humanity Mercer County. We are pleased to announce that nearly 300 attended and more than $12,000 was made by the event.